Since 2009, Airfoil Speakers Touch has made it possible to send audio from your Mac or Windows machine to your iPhone, iPod Touch, or iPad, using Airfoil and its audio streaming capability. Last month, we introduced Airfoil Speakers Touch 3, which added the ability to receive audio directly from other iOS devices, as well as iTunes. Users and reviewers alike have loved Airfoil Speakers Touch, particularly the new version. For our part, we’ve been thrilled to be able to provide this much-desired functionality. Today, we’ve been informed that Apple has removed Airfoil Speakers Touch from the iOS App Store.1 We first heard from Apple about this decision two days ago, and we’ve been discussing the pending removal with them since then. However, we still do not yet have a clear answer on why Apple has chosen to remove Airfoil Speakers Touch. Needless to say, we’re quite disappointed with their decision, and we’re working hard to once again make the application available for you, our users. 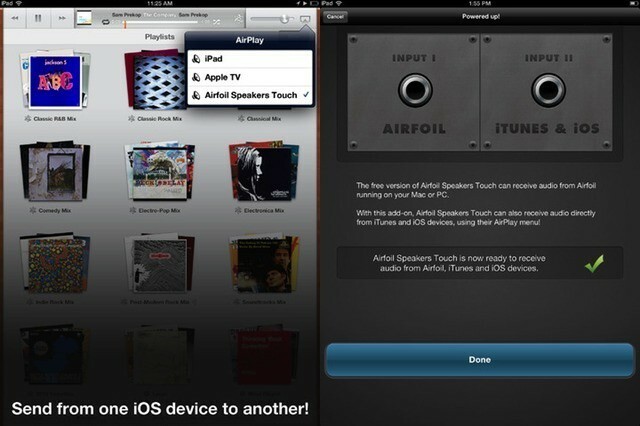 As far as we can tell, Airfoil Speakers Touch is in full compliance with Apple’s posted rules and developer agreements. We’ve already filed an appeal with Apple’s App Review Board, and we’re awaiting further information. Unfortunately, Apple has full control of application distribution on iOS, leaving us with no other recourse here. Is this justice?!? Attica! Attica! Attica! It seems like a pretty arbitrary and unfair move on Apple’s part, but as Kafasis notes, it’s possible that this is just the strange whim of some gray, nameless cog in the App Store Review team. In fact, Airfoil Speakers Touch has been rejected from the App Store for fairly arbitrary reasons before, only to be let back in when Rogue Amoeba posted about it. Let’s hope something similar happens here, eh? Either way, it really highlights one of the unavoidable problems of the App Store. You might do great work, you might play by all the rules, but Apple has no problem changing the rules on you and never telling you what you can do to make it all better. “We’ve seen that theory floated by a few folks as a wild guess, but there’s certainly no hard evidence that iOS 6 will contain audio receiving functionality. Anything’s possible, but I can’t say it seems likely that iOS 6 will turn iOS devices into AirPlay receivers.